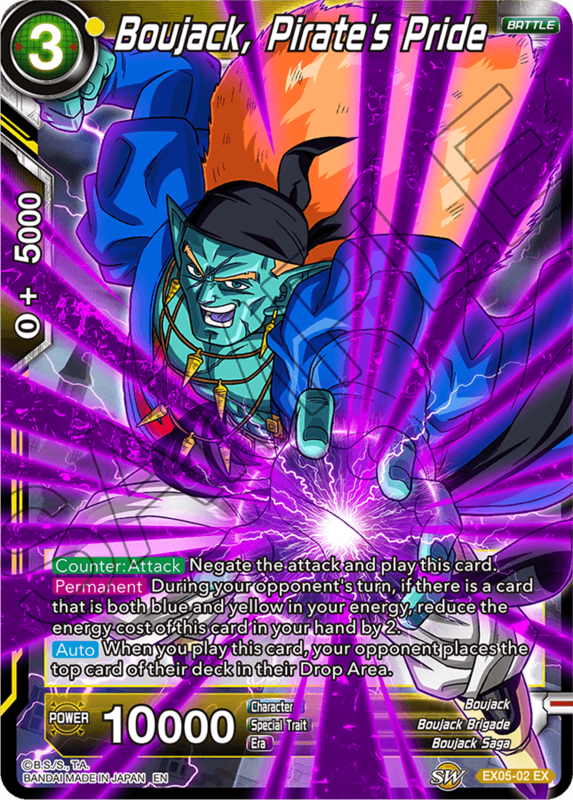 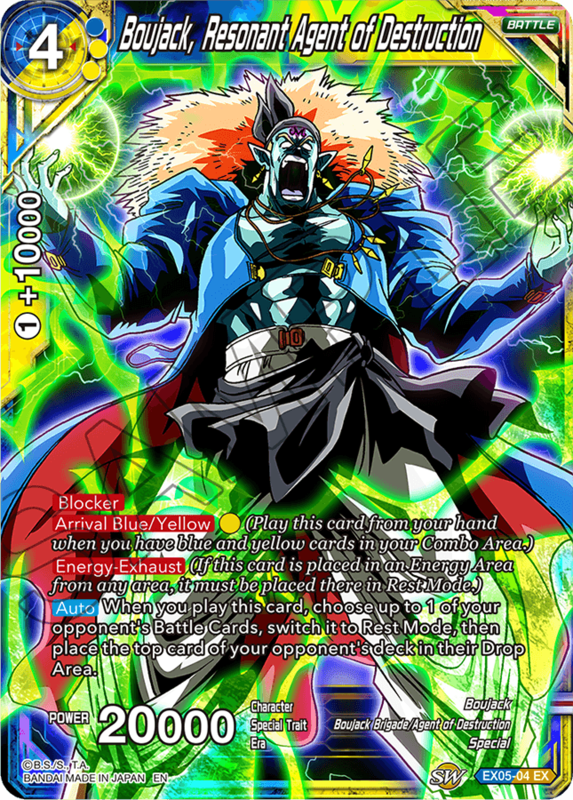 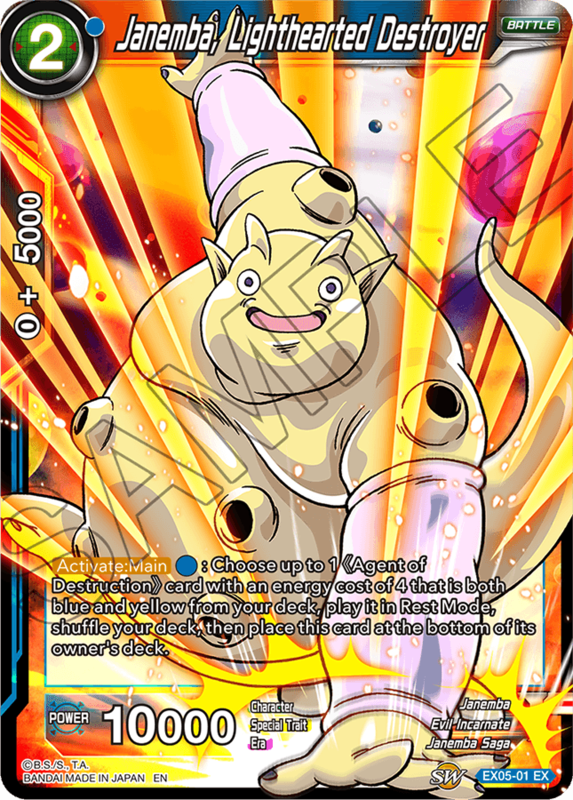 Unity of Destruction is the first set to contain Blue/Yellow multi-colored cards! 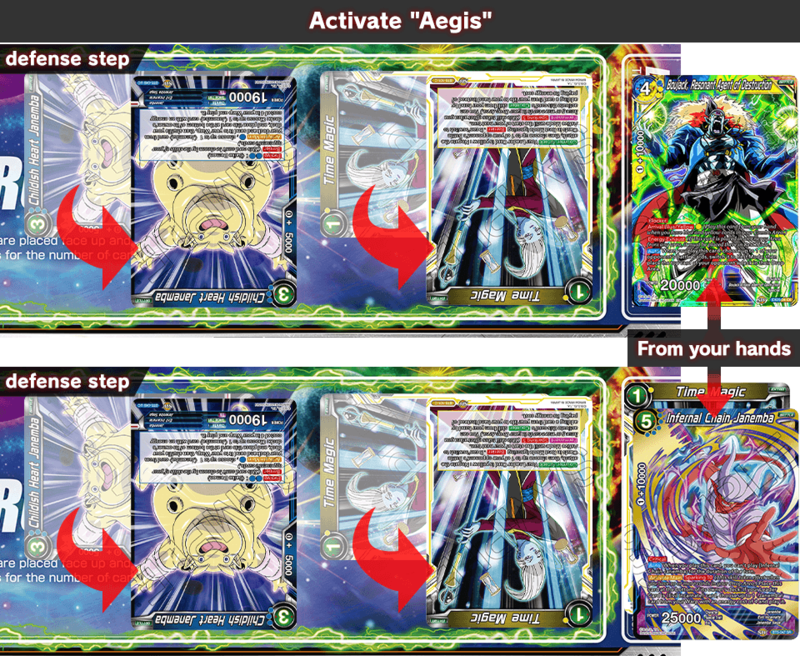 Aegis is a skill you can activate during your Defense Step! 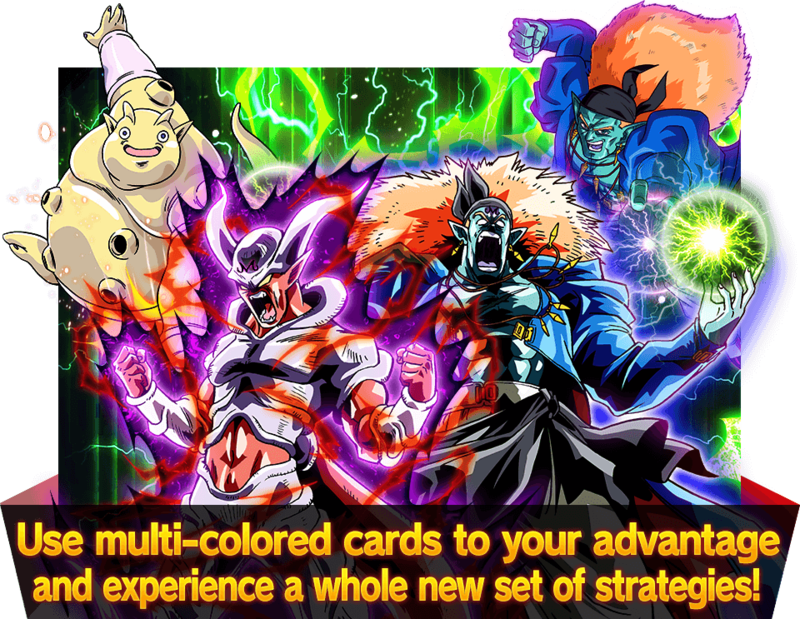 activate Aegis and switch two of your energy back to Active Mode! 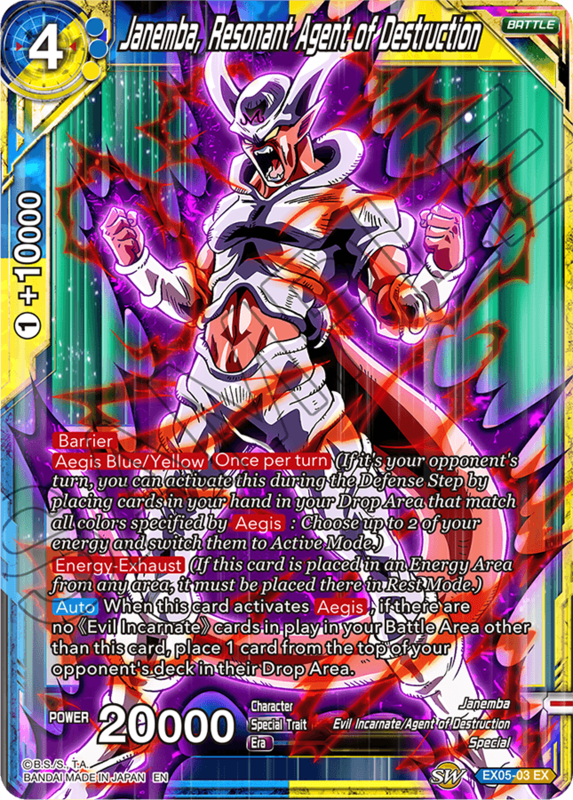 As an added bonus, this Janemba whittles away your opponent’s deck every time you activate it!